Welcome once again to our cookbook picks, this time for January. This month we look at One pot and Slo Cooker recipes, some celebrity chef books, frugal cookery and finally some soups to keep you warm in these cold months. This month our biography choice is Raymond Blanc. If you’ve cooked any of the recipes from these books leave a comment and let us know how it went. If you want more information on a book or to buy just click on the book cover image. A pot of something delicious simmering away on the stove never fails to tantalise the tastebuds. Whether it’s a creamy soup, a fragrant curry or a traditional English pudding, there are endless ideas for one-pot cooking in this book. 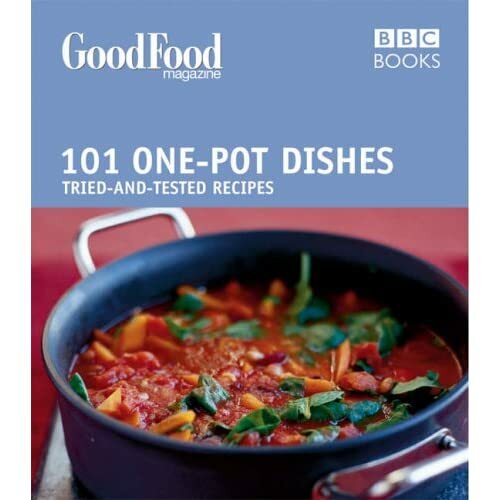 The team at “Good Food Magazine” have gathered their tried-and-trusted recipes together, to create another fail-safe book of ideas in the hugely popular “101” series. Each recipe is accompanied by a full-page colour photograph, so you can create a winner every time. With ideas for starters, main course and desserts, you’ll find all you need for inspiration in this handy little book. Ching-He Huang is one of the brightest stars in modern Chinese cooking in the UK. Each week in her new BBC2 series she re-invents the nation’s favourite Chinese dishes, modernising them with fresh, easy to buy ingredients, and offering simple practical tips and techniques. These are brought together in this beautiful book to accompany the series. Drawing on the experiences of top chefs, her family and friends, growers and producers and celebrity enthusiasts Ching sets out to discover the best Chinese cooking in the UK today, introducing easy-to-make Chinese food to sometimes resistant Brits, and painting a picture of modern Anglo-Chinese life in the UK as she goes. Chinese Food Made Easy begins with some of the most familiar dishes from a Chinese takeaway menu – Sweet & Sour Prawns, Chicken with Cashew Nuts, Chop Suey and Cantonese Vegetable Stir Fry, each with Ching’s special and imaginative twist. Later we explore spicy Szechuan food: Noodles, Dumplings and Dim sum; Seafood; Fast Food; Desserts and finally Celebratory Food, where Ching presents a complete banquet of dishes to celebrate the Chinese New Year.Ching’s knowledge, charm and enthusiasm shine through as she shares the ‘basic principles’ of Chinese cooking including some of the simple techniques and tips taught by her Grandparents for tasty results. Using ingredients from high-street supermarkets and some imaginative suggestions for alternative ingredients, these classic Chinese dishes are updated, fresh and healthily prepared so that anyone can make and enjoy them. Nigella and her style of cookery have earned a special place in our lives, symbolising all that is best, most pleasurable, most hands-on and least fussy about good food. But that doesn’t mean she wants us to spend hours in the kitchen, slaving over a hot stove. 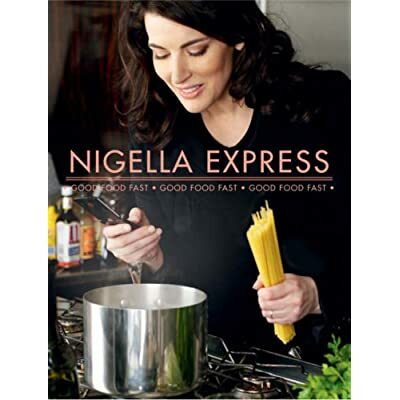 Featuring fabulous fast foods, ingenious short cuts, terrific time-saving ideas, effortless entertaining and easy, delicious meals, “Nigella Express” is her solution to eating well when time is short. This new book is every working mother’s dream and a joy for everyone who wants to cook but can’t seem to find the time. Here are mouthwatering recipes, quick to prepare, easy to follow, that you can conjure up after a long day in the office or on a busy weekend, for family or unexpected guests.This is food you can make as you hit the kitchen running, with vital tips on how to keep your store cupboard stocked, freezer and fridge stacked. When time is precious, you can’t spend hours shopping, so you need to make life easier by being prepared. Not that the recipes are basic – though they are always simple – but it’s important to make every ingredient earn its place in a recipe. Minimise effort by maximising taste. And here too is great food that can be prepared quickly but cooked slowly in the oven, leaving you time to have a bath, a drink, talk to friends, or do the children’s homework. Minimum stress for maximum enjoyment. This is a new generation of fast food – never basic, never dull, always do-able, quick and delicious – for the busy lives we lead. The Domestic Goddess is back but this time it’s instant. Annette Yates is a free lance cookery writer and has written over 20 cookery books. This is the details from the back cover of the cookbook. Making the most of your slo-cooker. If you’re a slo-cooking fan looking for fresh ways to get more from one of the greatest assets in your kitchen, you’ll love this book and if you’ve never cooked with a slo-cooker before, then here you’ll discover just what you’ve been missing and you’ll stimulate your appetite for a whole new culinary lifestyle. Slo-cookers have never gone out of style. But with most of us now having minutes rather than hours to spend in the kitchen, there’s a major surge in sales. Here you’ll find everything you need to know about cooking exceptionally good meals for you. Just set it to work and forget it – day or night. Dinner will be ready when you are, whenever you get home. And if you’re looking for something a little faster, your slo-cooker can turn up the heat without getting all steamed up about it. Annette Yates has taken classic cookbook to new heights, with great recipes – old and new – delivering everything from sublime gourmet breakfasts to favourite family meals and taste-tempting desserts. Stuffed Plaice with Orange; Braised Danish Bacon; Hot Spare Ribs; Greek Mushrooms; Creme Caramel; Pears Beaujolais; Ginger Rhubarb. “This book is very close to my heart. It’s about no-nonsense, simple cooking with great flavours all year round. When I began writing it, I didn’t really know what recipes I would come up with, but something began to inspire me very quickly… my vegetable patch! I came to realise last year that it’s not always about looking out at the wider world for inspiration. At a time when money worries are front-page news, Britain’s most trusted cook, Delia Smith, is once again on hand with a wide range of tasty recipes that are cheap and easy to prepare. Also at the time of writing this book is currently a frugral purchase too. • being creative with leftovers. 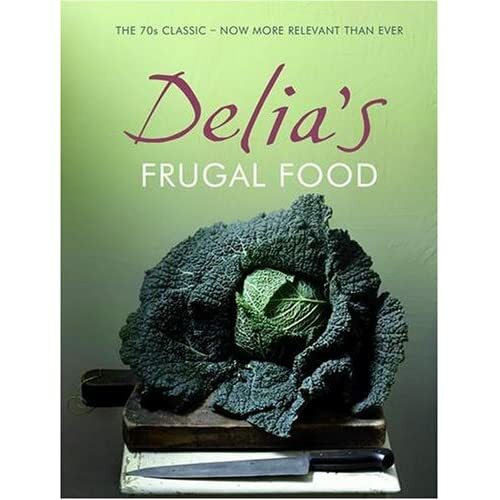 Thirty years on, the message of Delia’s Frugal Food has never seemed more relevant. With some 170 recipes, from luxury soups to paupers’ puddings, this new illustrated edition shows you how to eat well without having to spend a fortune. Preserving is a centuries-old way to make the most out of every season, stretching the more bountiful months into the sparser ones – and what’s more, it is fun, rewarding and easy to learn. Explaining the history, science and basic processes of preserving, Pam Corbin guides us through a world of jams, jellies, butters, curds, pickles, chutneys, cordials, liqueurs, vinegars and sauces that can be made from local produce throughout the year. She includes 75 recipes, covering everything from traditional favourites such as raspberry jam, lemon curd, quince cheese and sloe gin, to fresh new combinations such as apple butter, cucumber pickle and nettle pesto. The handbook includes seasonable tables, regional maps, flow charts of all the preserving processes and full-colour photographs throughout, and is completed by a directory of equipment and useful addresses. 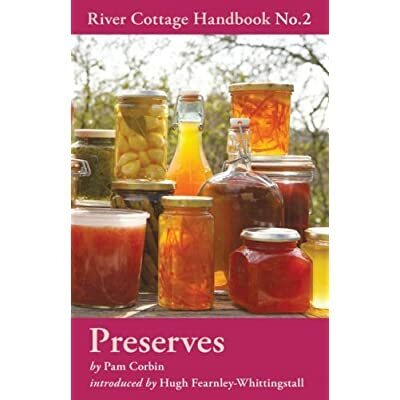 With a textured hard cover and an introduction by Hugh Fearnley-Whittingstall, Preserves is destined to join Mushrooms (Handbook No.1) as an indispensible household reference. Gordon Ramsay has earned an extraordinary 12 Michelin stars for his restaurants in London and New York. Now a celebrated television presenter too, his award-winning television series include Ramsay’s Kitchen Nightmares, The F Word and Hell’s Kitchen. Gordon Ramsay has recently become almost more famous for his award-winning TV shows “Kitchen Nightmares” and “The F Word”, than for his expertise as an awardwinning chef and restaurateur. However, at the heart of his talent is a passion for good food and an eye for perfection that has consistently seen him receive three coveted Michelin stars. 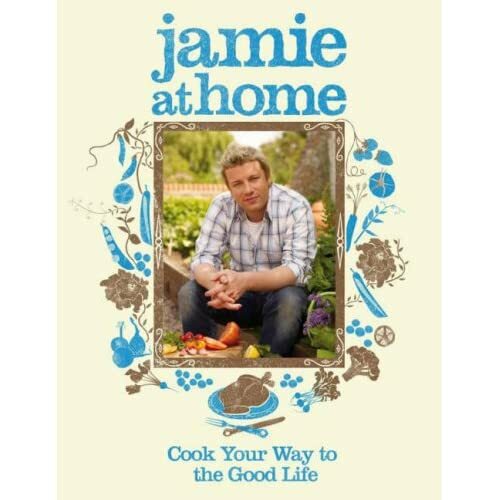 He has been called the best chef of his generation, and this book sees Gordon at his day job – running a three-star kitchen and producing food often described as ‘sublime’. 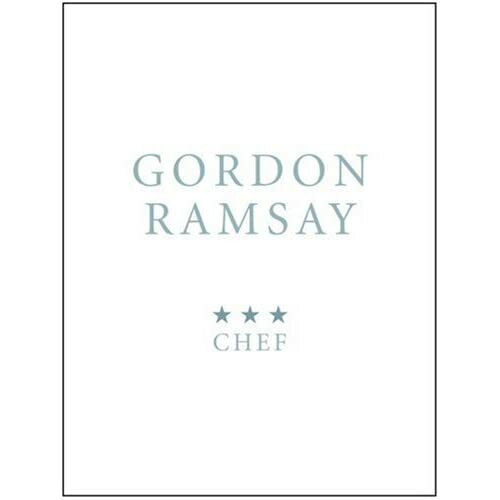 Getting right to the heart of why Gordon is such a celebrated chef, the first part of the book shows 50 classic Gordon Ramsay recipes presented as they would be in one of his restaurants. The second part of the book shows the dishes presented in a domestic situation with full recipes and step-by-step instructions to recreate them yourself. Dishes include Gordon’s signature Lobster Ravioli, Corn Reared Beef Fillet with Marrow Crust, Ginger Mousse and a Bitter Chocolate Cylinder with Coffee Granite. Raymond Blanc – A Taste of My Life is our Biography choice for the month. From the cover… Raymond Blanc knows more about food and cooking than pretty much anyone else on earth, and his life to date has been a search for culinary perfection. Now, for the first time, he tells the story of that search and shares the secrets he has learned along the way. Woven around stories from his childhood years, when Raymond learned the love of good food at his mother’s knee, are tales from the sharp end of the food business today, his thoughts about where food is going in the future and a passionate appeal for a more sustainable cuisine. From his days as a young boy collecting frogs’ legs in rural France to his career as a prodigiously talented chef cooking at the very highest levels of cuisine, Raymond’s passion for food has remained a constant. And in A Taste of My Life, his story takes us to every corner of the culinary universe, from simple, rustic cuisine to the rarefied realms of molecular gastronomy. A Taste of My Life is a wonderfully engaging memoir by a culinary genius and essential reading for anyone with an interest in food and cooking. Over the winter I’ve been enjoying New Covent Garden soups as many of the supermarkets have had them on offer. But there is nothing like a home cooked soup. Now you can combine the two with New Covent Garden Soup recipes. The New Covent Garden Food Company was founded in 1988 to make homemade quality soup using entirely natural ingredients, and despite many imitators over the past eighteen years New Covent Garden are still the bestsellers in the fresh soup market. This enduring popularity is a result of New Covent Garden’s continuous passion for fresh soup, which they expound as the ultimate, easy-to-make, healthy, delicious meal. Featuring over 100 of the New Covent Garden Soup Company’s most popular soup recipes, this kitchen classic is as appealing today as it was when it was first published ten years ago. 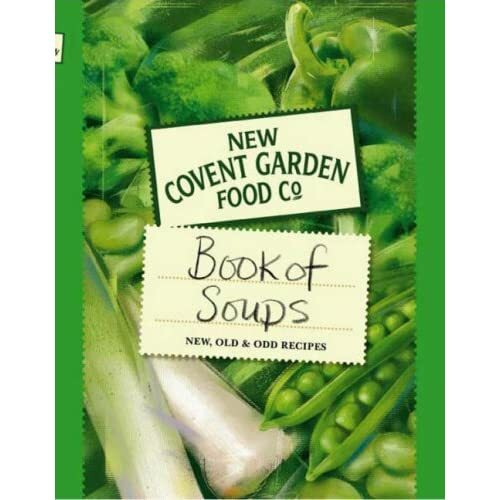 Repackaged in keeping with New Covent Garden’s latest branding, the original “Book of Soups” is being relaunched to coincide with the publication of the new title, “Soup in Season”.